Finish it up February Members workshop to bring and work towards finishing a project. 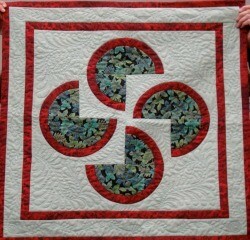 Assistance from experienced quilters available. 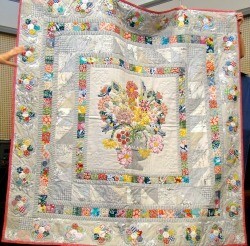 ‘Floral Delight’ applique and pieced quilt. Open to members ($50), and non-members ($70). Bookings open June 2018. Create your own ‘Drunkard’s Path’ with Pat Stevenson. Open to members ($tba), and non-members ($tba). Bookings open February 2018. Make a ‘Sew Together Bag’. Open to members ($35.00), and non-members ($45.00). Don’t miss out on this workshop!